I had the Sugiura procedure performed at the University of Wisconsin Hospital in 2007. A splenectomy was done at the same time. The surgery was done as I was not a candidate for a shunt and my esophageal varicies were dangerously large (4×4). I already had a serious bleed and was at high risk for another. I developed acities and other post operative issues, but did recover. For a year after the operation, I vomited or had diarrhea after nearly every meal. Eventually, this improved. I still have digestive problems, mainly with food dumping and pain. I get annual endoscopies, with banding if indicated. Portal hypertension resulted from pancreatitis and a thrombosis from a pseudo cyst. I am also diabetic. I’m wondering if others have post Sugiura digestive issues? Thanks for the web site. Thanks for your post. I apologize for not replying sooner, but I had issues with my blog site where I was only able to approve comments and not reply. With the help of a friend and some updates I am finally able to respond! I’m sorry to hear of you ongoing issues, although you have had some improvement from the Sugiura. I can’t relate to actually having any kind of evasive procedure relating to PH, but have survived some close calls since my diagnosis along the way and am thankful to be alive. After some testing this past January I was also diagnosed with Diabetes. For your digestive problems, have you tried any dietary measures? Although I have a knowledgeable gastroenterologist, and have asked her about a suggested diet, she is unable to answer this question. When I was diagnosed with diabetes, I took it upon myself to stop eating anything with wheat or grains, or milk products. After doing this my system is so much better, and I have way less pain now. Also, I would like to know if you are taking a beta blocker and any anti coagulants? Hi. I understood that not only is this a procedure of last resort, it is rarely ever done anymore because of alternative less invasive procedures. This makes the procedure even more difficult because most surgeons are no longer familiar with or practiced on the procedure. 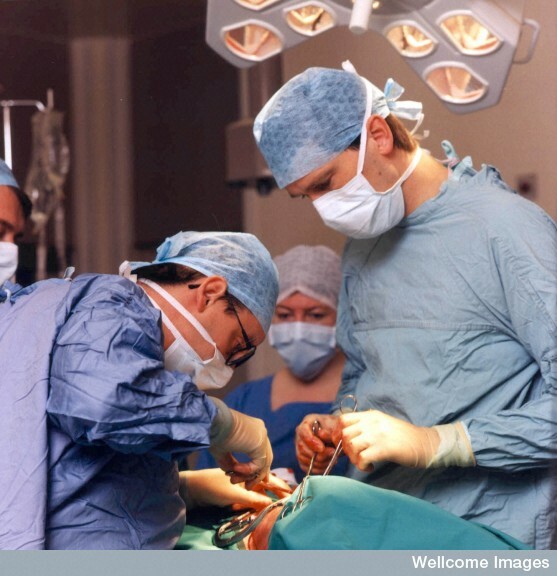 In Canada most surgeons stopped doing them in the early 1990s. Furthermore if anything goes wrong it is unlikely that younger health care workers will be familiar with the procedure and the complications. This leads me to my question: have you come across anything about the potential longterm complications beyond 20 years after the procedure?